Since there is a Gifted thread in this section. Story sounds like an amalgamation of the two Phoenix stories in Claremont’s run. And after rereading the Phoenix arc I think I know who Jessica Chastain’s character is. I think what has been shown to us so far, it does look DP is mirroring X-3, although I Hope not. There may be some parrallels, but I want them to be very minor and portrayed differently. I am looking for a new film, a new, better, accurate one based on the comic story this time! I'm guessing that the Jessica Chastain character (Lilandra? Cassandra Nova?) plays a role similar to Mastermind in the original storyline; not so much the creating weird illusions (something the films already did with X2 anyway), but twisting Jean's mind somehow. Rumors say that she is a gray skrull-like shapeshifter. There is actually a character like that in the first Phoenix arc who was part of the Imperial Guard. So I’m guessing that Jessica’s character is someone D’Ken set to manipulate Jean to use to his own ends. Basically it’s the Phoenix Saga but they replaced the M'Kraan Crystal with the Phoenix Force as the macguffin. Maybe Chastain is the Skrull Empress? She was shown in the DP Saga. Doubt it. A Chameleoid seems more likely at this point. Seems to fit the definition of a macguffin. No because those things serve a purpose. The briefcase in Ronin was a mcguffin. Never seen Ronin but the filmmakers of Days of Future Past labeled Mystique as a macguffin. In Ronin the entire plot was driven by several groups wanting a briefcase and its contents. We never knew what was in the case or why it was desired, or how anyone would gain from it. No plot point was resolved by taking possession of it, and none was unresolved by not having possession of it. It was a thing that served absolutely no purpose except to drive the story. That's the definition of a mcguffin. Two other notable examples are the briefcase from Pulp Fiction and the Maltese Falcon. 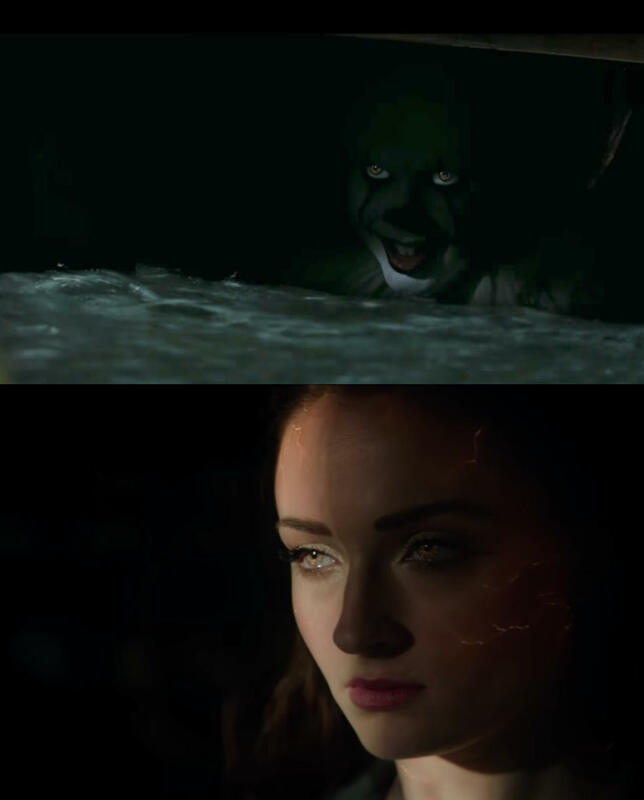 Plot Twist: Dark Phoenix is Pennywise in disguise.